Carpathian Mountains, ancient castle, and unexpected overnight lodging creates havoc for some foreigners. Carpathian Shadows: Volume Two follows the mysterious aura of Lord Erdely from the Carpathian Mountains in Transylvania, Romania, and his mysterious castle. Lord John Erdely lived in the 17th century and date of death never confirmed since no body has ever been found. It is rumored he dealt in black magic to suppress the ongoing collaboration of the churches to bring a unified religion to all people, a Greek Catholic practice. All visitors staying in Cornifu Hotel are surprised with a mystery invitation for a one-day excursion to Erdely Castle. Befuddled but amused at the same time, they accept, unaware of the events to follow. 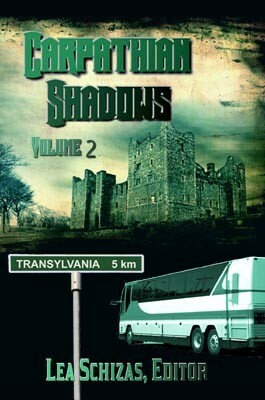 Carpathian Shadows: Volume Two launching on Halloween Night – October 31st, 2008.